Hi again! 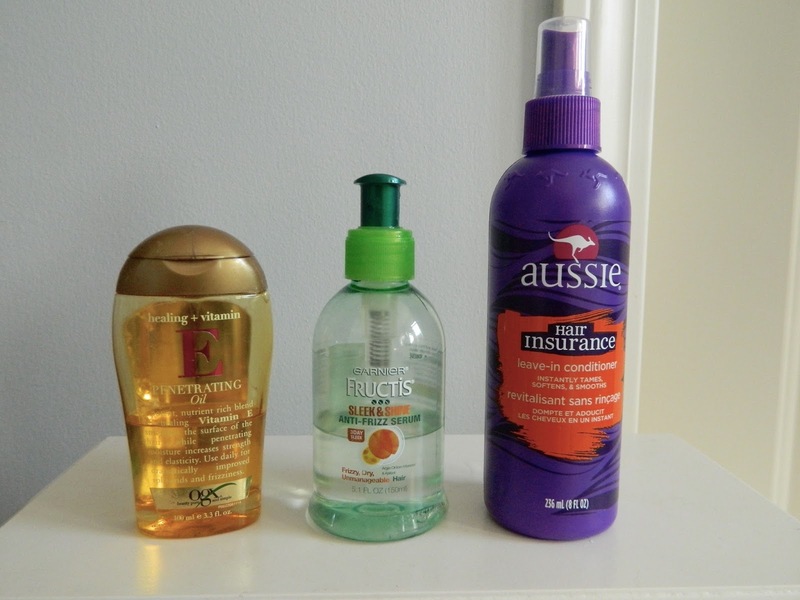 It's taken me awhile to find hair care products that I really like. I haven't always liked my hair, in fact, I used to hate it. I've always thought my hair was pretty thin and lifeless. When I was younger, my hair care was just this: shampoo (and maybe condition if I felt like it). I basically just used whatever shampoo and conditioner I could find, even if it wasn't meant for my hair type. Before we start off with the routine, I want to let you guys know what my hair type is. I have thin and fairly dry hair. I wash my hair 2-3 times a week, and while it's definitely oily on the 2nd or 3rd day, it could be easily fixed with some dry shampoo. I try not to use heat on my hair unless I absolutely have to, so my hair is definitely a lot healthier than it has been in the past. 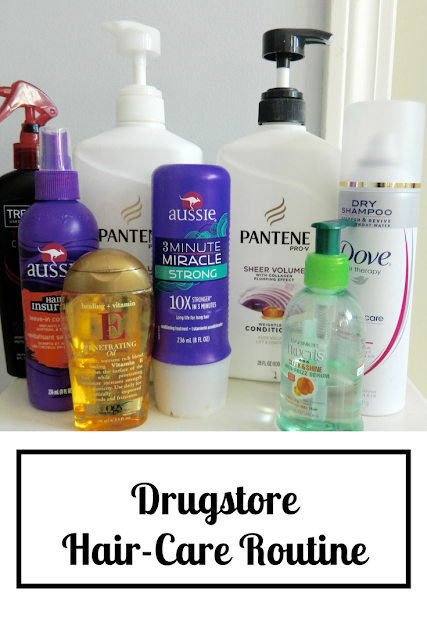 So, here's my affordable (all drugstore products) hair care routine! The obvious first step is to shampoo my hair. 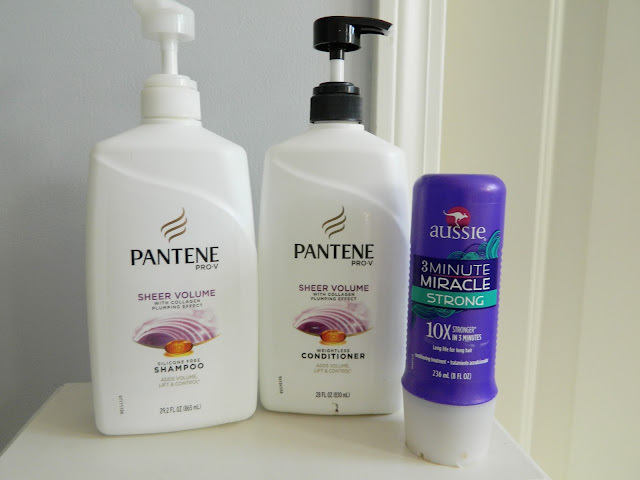 I love the Pantene Sheer Volume Shampoo because it's absolutely perfect for my hair type. I've spent forever trying to find a shampoo that consistently makes my hair extra full and shiny. This one totally does the trick and I'd recommend it to any fine-haired gals out there. That being said, anything by Pantene is great, so no matter what you're hair type, you'll surely be able to find one that makes your hair glow. Next, I use the conditioner that's meant to be used with the shampoo. I'm almost always have used the conditioner that matches with the shampoo I'm using. I use this on the ends of my hair (I never put it on my roots, as that can actually weigh down your hair and make it look more oily). I then leave it on for roughly two minutes then rinse. This stuff is holy grail status. I've noticed such a huge difference in my hair since I started using it. I had honestly never tried a deep conditioning treatment before using this stuff, and I swear I'm never going back. Now, I only use this about once a week or maybe once every other week, just because I feel like it isn't necessary to do this each time you wash your hair. I still shampoo and condition like usual and after I've rinsed out the Pantene conditioner, I'll apply this to the ends of my hair and wait the three minutes. After washing my hair, I always apply this penetrating oil by OGX for extra shine and softness. My hair feels amazing when I use this, and the oil smells so good. I definitely recommend using a hair oil if you have fairly dry hair. It will help to replenish moisture and give life to dull hair. I love using a serum in my hair, and this one is so good. It really does make your hair really shiny and smooth, as the product claims. I just put a small amount in the palm of my hand and run is through my hair, focusing on the ends. I finally gave in and began using a leave in conditioner. It really has made a huge difference in the texture of my hair. It doesn't tangle as easily and doesn't look stringy and lifeless at the end of the day! This one by Aussie is so inexpensive and it works wonders. If I'm going to be using heat on my hair (I try to avoid using heat whenever I can though), I use this heat protectant. Protecting your hair from heat tools is so important if you want your hair to continue to look healthy and shiny. I love this one and it smells amazing! This isn't technically a "step" but I had to include this product because it is probably my most used hair care product. I LOVE try shampoo, and I've tried so many different ones. This one by Dove is by far my favorite, and I've absolutely fallen in love with the scent the way it makes my hair look/feel. Since I only wash my hair 2-3 times a week, I always need a little hair pick-me-up on 2nd or 3rd day hair. I've also tried the one by Batiste and the one by TRESemmé. These ones are both awesome by the Dove Dry Shampoo is my absolute favorite! What are some of the hair care products that you can't live without? This is such a great post, girlie! I can't definitely relate to your frustration for years in finding products that actually work well for your hair. For years, I tried everything to no avail and I didn't know how important it was for me to keep up with my trims, so my hair always looked dry, dull, and damaged. 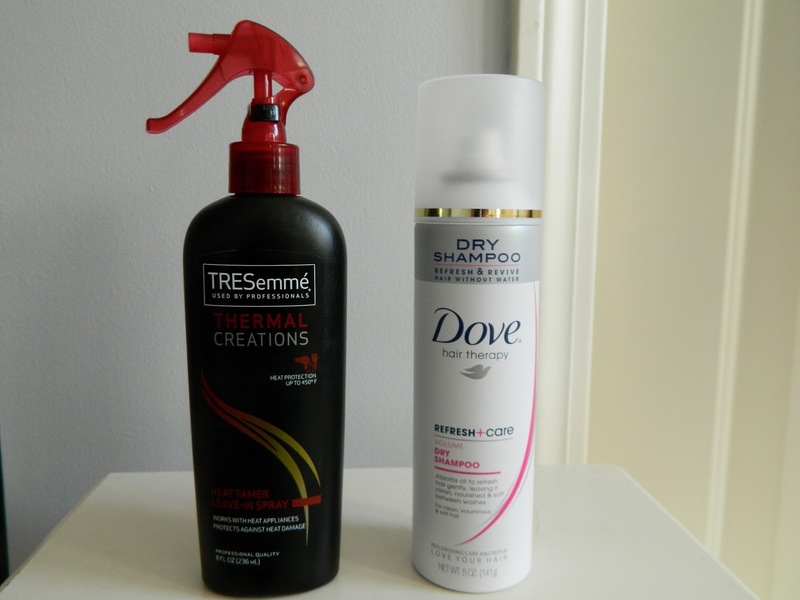 I used to use the Tresemmé heat protectant, it was my holy grail, and for some reason I completely forgot about it after having tried other products. You've just reminded me of it, I need to check it out again! Thanks so much for sharing and I hope you're having a great start to your Monday so far! Such a great post! Thank you for sharing with us! That was me 3 years ago, i would use whatever shampoo i found in the bathroom and didnt even bother about using a conditioner , but all that changed when i saw the damage to my hair. I use Tresemme conditioners ,they are quite gentle on my hair. You have a great collection here. Oh By the way , i'm following you on Google Friends Connect , hope you can follow using my blog link www.stylenbeautylounge.com , Thanks . Great article! 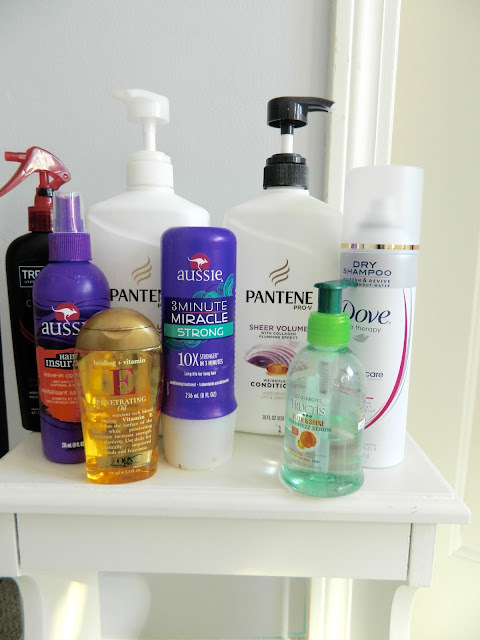 A hair care routine is definetely something I can relate to! This is great - thanks for all the suggestions! I'm glad to hear that the Dove Dry Shampoo works well - I've been using the Living Proof one for awhile, but it gets expensive! I haven't heard of that one! Is it worth the buy? :) Dove is a great alternative to more expensive brands! It's a fabulous dry shampoo option! Love drugstore products. I love that tresseme hair protector! I LOVE and swear by this penetrating oil! I love the Garnier Fructus oil it makes my hair feel amazing! Beautiful products and they are all affordable, lovely. Great post. Thank you for sharing all these product to us.